Solapur is located on the south east edge of the state and lies entirely in the Bhima and Seena River basins. Solapur is a leading center for cotton mills and power looms. Solapur is also called as Textile City. Solapur is also famous for being the leading manufacturer of Solapuri Chadar, beedis(South Asian Cigarette) in Maharashtra because of it being a leader in the production of tobacco. Solapur is an ancient historical and religious place. Akkalkot has the famous mallikarjun temple where many lingayat devotees workship daily. Other places of interest are Maldhok Bird Sanctuary, Sambhaji(Kambar Talav) Lake, Siddheshwar Temple and Lake, Nannaji Wild Life Sanctuary, Solapur Fort(Bhuikot Castle) & many more. 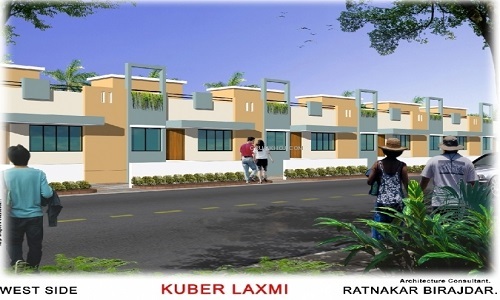 East Facing 2 bhk Row Bungalows in Solapur Vijapur Road. 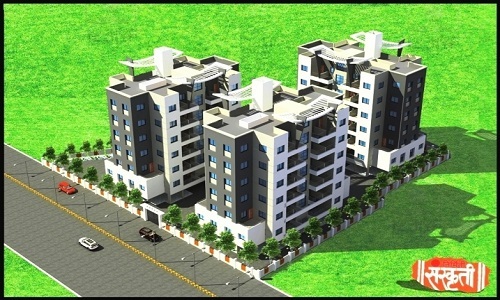 Area 1054 Sq.Ft, ₹ 26 Lakhs+. Top Tourist Places in Solapur Area. 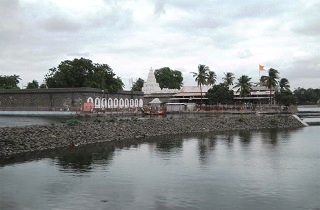 The temple, which is situated in the middle of a beautiful Siddheshwar lake and is surrounded by water on all sides, is the icon of Solapur. Shri Siddharameshwar had installed 68 Shiva Lingams in total. Shri Siddheshwar, who is considered as one of the six prophets of Lingayat religion. It is dedicated to Lord Siddheshwar who has other forms as Lord Shiva and Lord Vishnu. Most visitors like to come here during night, when the water reflects the beautifully illuminated temple. The Samadhi of the Seer is situated in the center of the courtyard. Another part of the courtyard leads to a well-designed garden and the shrine of Saint Nalavatvad is found in the center of this garden. The image of the sacred bull, which is called Nandi, is located in the ante-Chamber. A stone walled shrine, which is lined with sheets of silver with beautiful engravings on it, can be found on the back wall of the ante-Chamber. 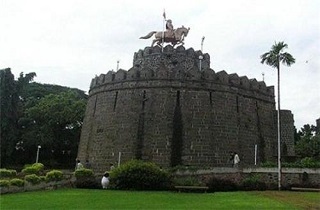 The Bhuikot Fort is one of the major tourist locations in Solapur, which attracts many people every year with its historic importance and uniqueness in construction.It is said that the fort was built during the 14th century under the rule of Bahamani Dynasty, in the memory of Hutatma Bagh. Once it was handed over to the Peshwas, Bajirao II also stayed here. The major attraction of Bhuikot fort is the animal park here that homes several animals like peacock, duck, rabbit, monkey etc. The authorities also arrange a wonderful amusement park in the fort that entertains the children who visit to see the fort. The fort is an ideal location to spend some leisure time with your friends or family members. You can simply walk or walk in the fort viewing the picturesque locale or watching the animals in the park. There is also a well in the fort, which is in octagonal in shape.Time required for sight seeing: 1 or 2 hours. Akkalkot is the home to Shri Swami Samarth Maharaj, a 19th century saint who is believed by his devotees to be an incarnation of God Dattatreya 40 Kms Distance form Solapur. According to references found in the ‘Gurucharitra’, a religious text, Shri Nrusimh Sarasvati took ‘samadhi’ in 1458 CE and remained in that state for more than 300 years. His words of assurance and courage to his followers were: Never be afraid of anything for I am always there to support you. The shrine complex is known as Vatavruksh Mandir since it encloses a Banyan tree beneath which the swami used to preach his message.Shri Swami Samarth Annachatra Mandal provides free accommodation and meals to pilgrims. Shivpuri, just 3 kilometers away from Akkalkot, is known for Gajanan Maharaj and for the practice of the ancient Vedic therapy of ‘agnihotra’. 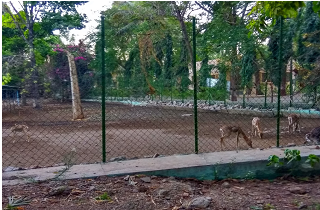 Mahatma Gandhi National Zoo Park is a place or point of interest located in the destination of Solapur in the state of Maharashtra in the country of India.Mahatma Gandhi National Zoo in maharashtra for ASIATIC LION. Dear, sambhar, wonderful coloured peacock, pigeons,coloured sparrows,funny monkeys, leopard are available. Nannaj is a small town 20 km from Solapur - is a wild life sanctuary. 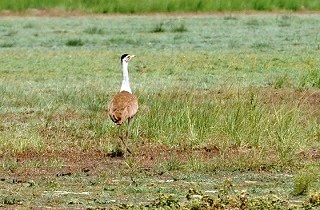 Nannaj is home to the Great Indian Bustard (GIB) sanctuary. The Great Indian Bustard is also called as Maldhok in Marathi is one of such rarest birds of Indian Sub continent. There are about 350 GIB's surviving in India and around 25 of them are found in Nannaj. Nannaj presents a very unique landscape, more resembling the plains of African Savanna than the typical tropical forests of India. It is also known as "The Indian Savanna". Tulja Bhavani Temple is a Hindu temple of Goddess Bhavani. It is located in Tuljapur in Osmanabad district 45 km from Solapur is considered as second among the Shaktipeeths in India. It was the family deity of the Bhosale kings. Chatrapati Shivaji Maharaj always visited the temple to seek her blessings. The history of the temple has been mentioned in the Skanda Puran. 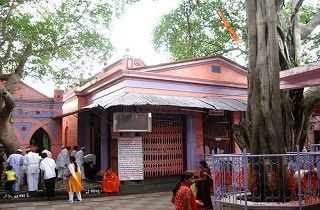 The temple is located on the hill of the Balaghat. 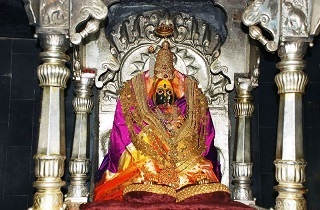 The Idol of the Shree Tulja Bhavani mata is a swayambu idol. The goddess has eight hands and is seen sitting on a throne. There are two main entrances to get into the temple. One is called the Raja Shahaji Mahadwar, and the other is the Rajmata Jijavu main gate.